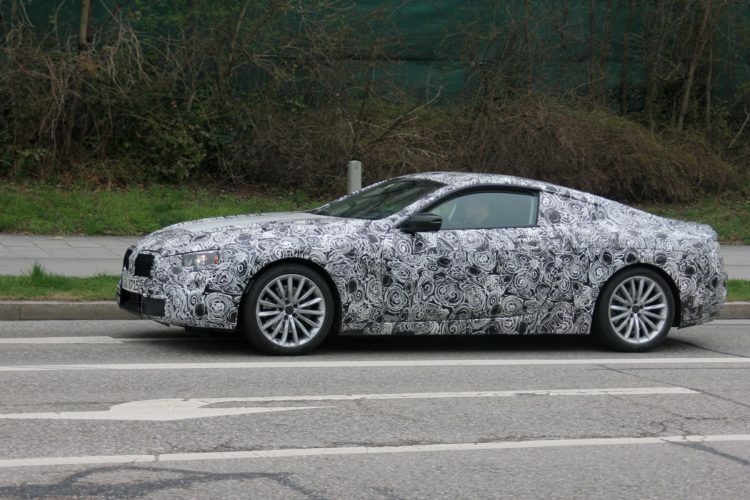 We recently were given a ton of new spy photos, featuring several different BMWs that are set to hit the market within the next few years. One of these BMWs was the upcoming 8 Series, which seemed to excite fans. 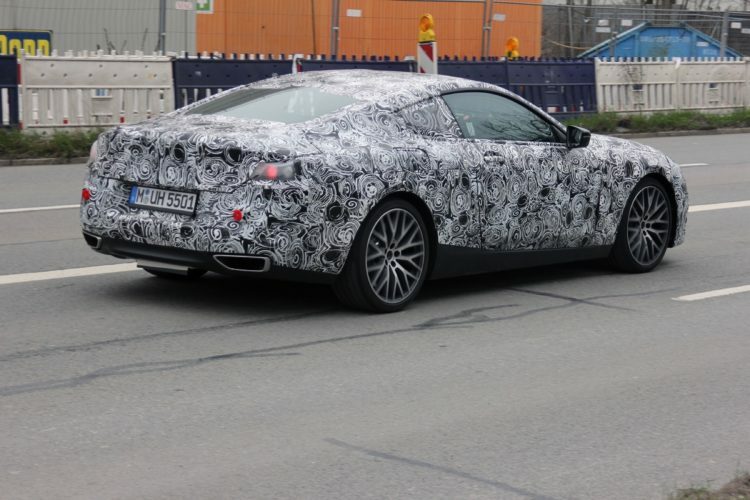 Now, it seems BMW’s new 8 Series has been caught again, this time at the Nurburgring. In the spy photos (which we don’t own but can be seen at Autoblog), you can clearly see that this is some sort of performance-oriented 8 Series. While we don’t think it’s a BMW M8, it definitely looks like some sort of M Performance model. Maybe a BMW M850i? We can’t be certain but the lack of quad exhaust pipes makes us think it’s something other than a proper M8. Admittedly, this could just be an M8 with different exhausts for testing, but we’ve seen M cars testing in camouflage before and they all have the quad pipes. What we can tell is that, whatever sort this is, the BMW 8 Series certainly seems more geared toward luxurious grand touring than performance driving. Just from these photos, there seems to be significant body roll and brake dive. But, that would make sense, being that this is an 8 Series, not an M4. We can also tell that this car looks damn good and we’ve barely seen any details of it yet. Its profile looks long and low, with classic sports car proportions. I said this before and I’ll say it again, it actually has a silhouette that reminds me of an Aston Martin DB9 and that’s one of the prettiest GT cars of the past few decades. If the 8 Series looks even half as good as a DB9, we’re in for a real treat.